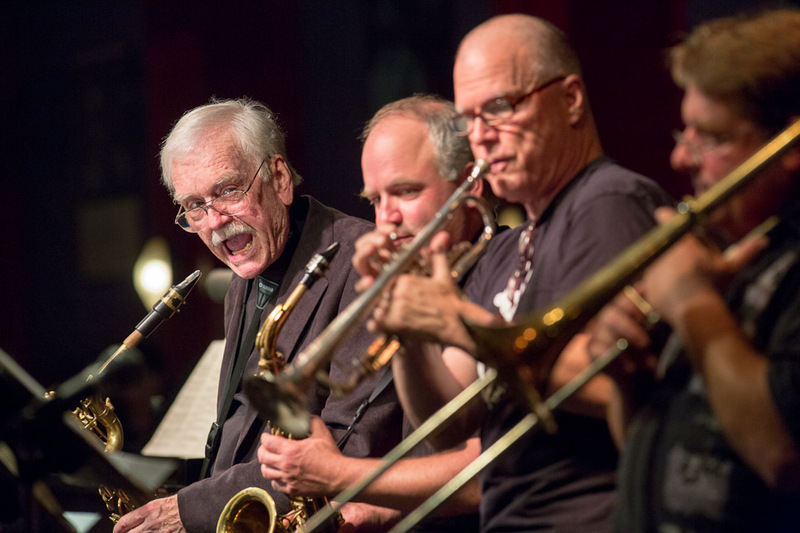 Last night Earshot Jazz Festival presented the Bill Ramsay Tribute and it was wonderful. 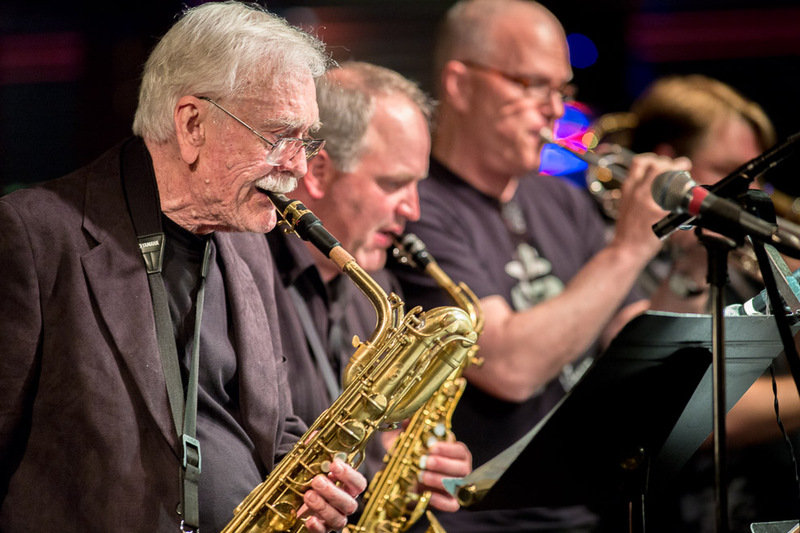 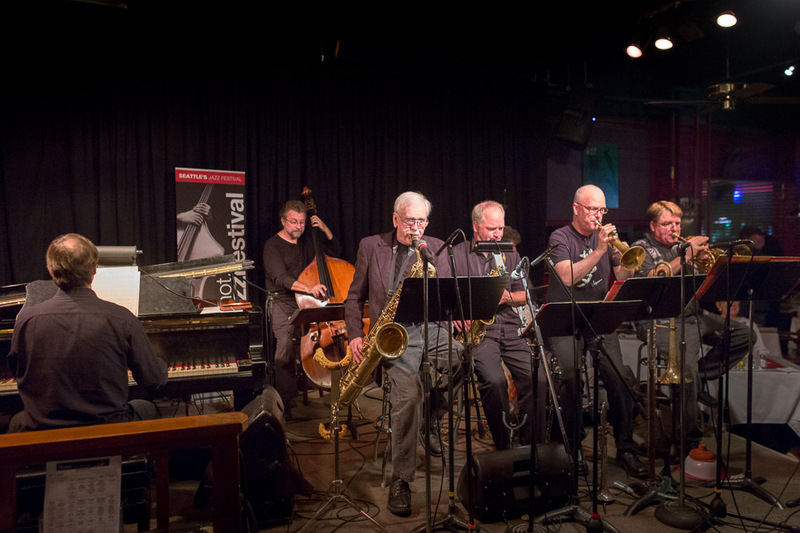 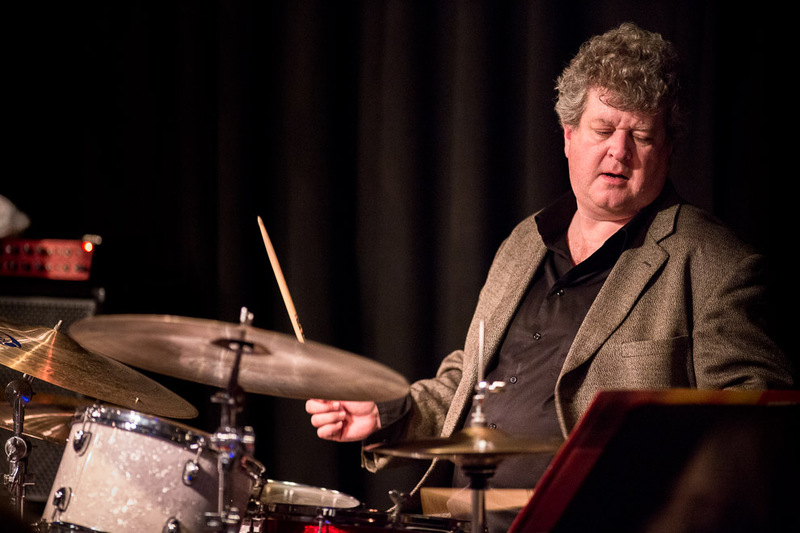 Featuring his septet – with Jay Thomas (trumpet), Travis Ranney (sax), Dan Marcus (trombone), John Hansen (piano), Greg Williamson (drums), Chuck Deardorf (bass) – legendary Northwest saxophonist Bill Ramsay (baritone saxophone) is among Seattle’s best. 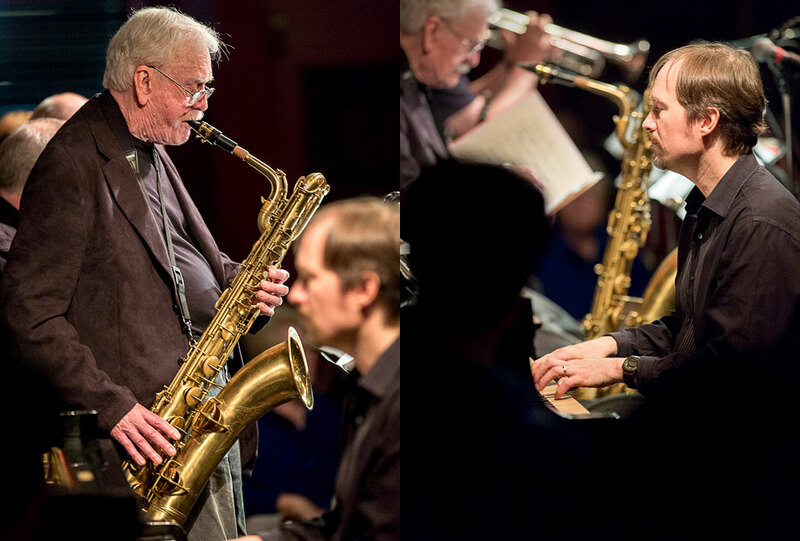 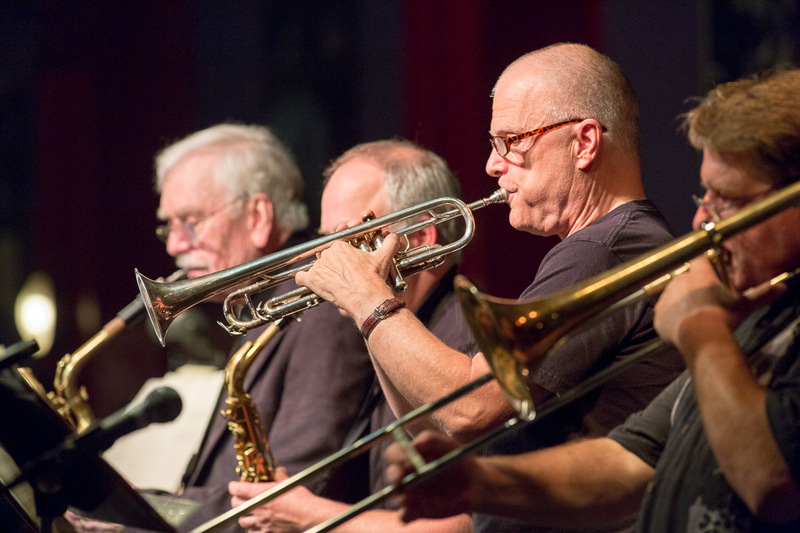 A former member of the Count Basie Orchestra, and a veteran of many of the nation’s outstanding big bands, including the bands of Thad Jones, Cab Calloway, Mel Lewis, Gene Harris, Quincy Jones and the Benny Goodman Octet, Ramsay recently toured the western United States with the Duke Ellington Orchestra (under the direction of Paul Ellington). 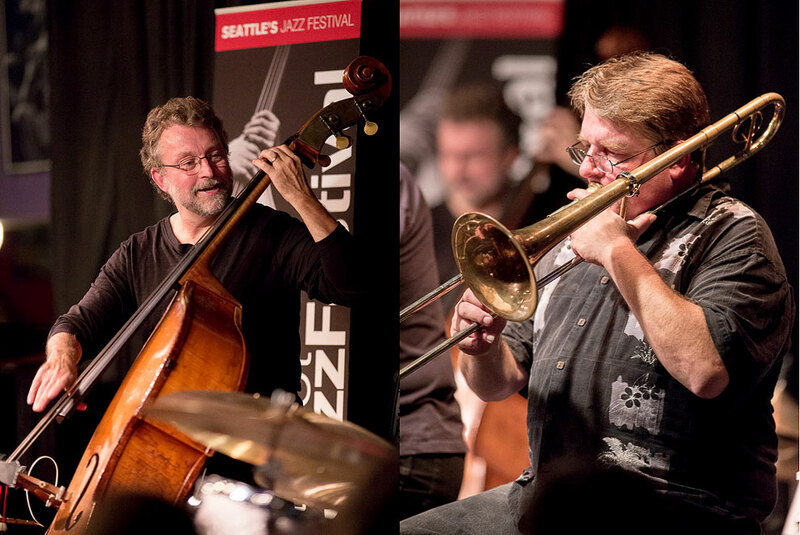 He was inducted to the Seattle Jazz Hall of Fame in 1997.